Precision at its Best. Color Management Practices. Color management is maintained and measured throughout the production workflow. To ensure accurate color consistency, print providers invest in a range of color management solutions from digital presses to software. Established in 1994, Label Impressions, Inc. is a color critical print provider that started with six employees in Orange, CA. The company originally offered offline hot stamping and four-color flexographic printing in a 3,000 square foot work area. Today, it employs a staff of 64 and services Australia, Canada, France, Italy, U.K., and U.S.
Its services include inline hot stamping and cold foiling, rotary screen printing, tactile UV printing, cast and cure, folded booklet labels printed inline, sequential numbering, and digital printing from a 30,000 square foot facility. It specializes in a variety of labels, including biodegradable, flexographic, foil stamped, screen printed, tree-free, and FSC-certified labels as well as hangtags, pouches, packettes, and sachet printing. Soon after, Label Impressions embarked on a path to standardize its color matching and ink blending process. Though it took several years, the print provider now achieves client color standards of 1.25 Delta E or better—often hitting a Delta of 0.5 or less. “Strict adherence to this process ensures that we always hit and maintain perfect color. Our color issues are a thing of the past and we have much lower downtime numbers on press,” explains Salisbury. The print shop’s color management journey began with Oris. It now uses CGS ORIS Aproove alongside Hybrid and Siegwerk’s FastMatch solution. While Label Impressions currently does not house any color-related certifications, Salisbury says the company considered it. “After much research we’ve found that our own process complemented by our software ensures 100 percent customer satisfaction and keeps our color management costs to a minimum,” he explains. The company digitally prints on the HP Indigo WS6800, which also aids in its color output. The shop purchased the device for its inline spectrophotometer. Using closed-loop control, the spectrophotometer eliminates the need for manual color calibrations and adjustments. “After a three-year long process we settled on HP’s technology as the most accurate in terms of color. The caveat is that you must invest time and energy in the color management process both upfront and ongoing,” offers Salisbury. 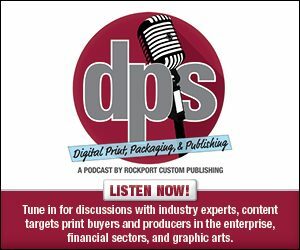 Label Impressions pairs its HP Indigo WS6800 with HP’s proprietary ink system. To keep up with customers’ color demands, Label Impressions stays updated on the latest trends. Most recently, it noticed looser color standards and customer confusion. “Many customers have resigned themselves to accepting inconsistent color, which is disappointing,” he shares. However, the shop maintains its high color standards to preserve its clients’ brand integrity. In 2018, HP approached Label Impressions for individualized Smirnoff shrink sleeves to showcase at HP’s global launch of its SmartStream for Designers software at AdobeMax in Los Angeles, CA. Yarza Twins—an award-winning London-based graphic design studio—created the limited edition designs for Smirnoff, portraying 21 people from all parts of the world mixed with 21 hats, patterns, and bodies. “Because the designers and the end client were so high profile, color was critical as was the timeline,” admits Salisbury. At the time of submittal, the shrink sleeves needed to be printed, seamed, and applied to the Smirnoff bottles in just weeks to meet HP’s deadline. Label Impressions printed the designs on Bonset America Corporation shrink film using the HP Indigo WS6800. In total, the print provider produced 40 shrink sleeves each with a custom Yarza Twins design. According to Salisbury, the shop was well-prepared to handle the job as it had already invested a lot of time in learning shrink sleeve color strategy and accuracy. “We completed the job on time and with accurate color just days before the big launch, which was a big success,” shares Salisbury. From job submittal to installation, it took two weeks for Label Impressions to produce the shrink sleeves. HP’s global launch of its SmartStream for Designers software was a success. “Thousands of designers were wowed by this new technology,” he adds. Label Impressions is committed to an in-depth color strategy developed with a precisely controlled pressroom environment and software selection. “At Label Impressions we feel that color is still important to maintaining brand integrity and we work hard to communicate our color strategy and high standard to prospects and customers,” concludes Salisbury.